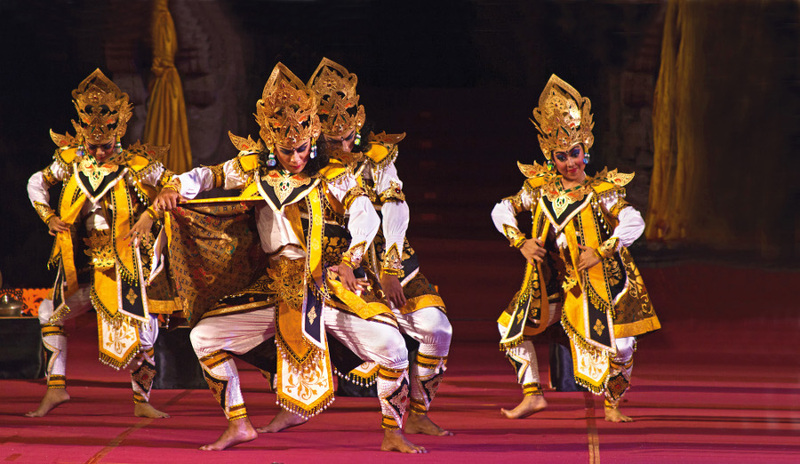 One of dance competitions that is really interesting is Gong Kebyar Competition. I’ve been following the competition since seven years ago, it is amazing to witness how the young generation on the island grow their passion in continuing the culture, and also add some advanced touches of the modern culture to it. Some captivating new dance choreography performed with charismatic music arrangement and sparkling costume are something to expect to see at this annual competition. Karsian Dance, a brand new choreography categorised as bebalihan dance or dance that performed for entertainment purpose, was one that gathered thundering applause from around one thousand audience at the competition. 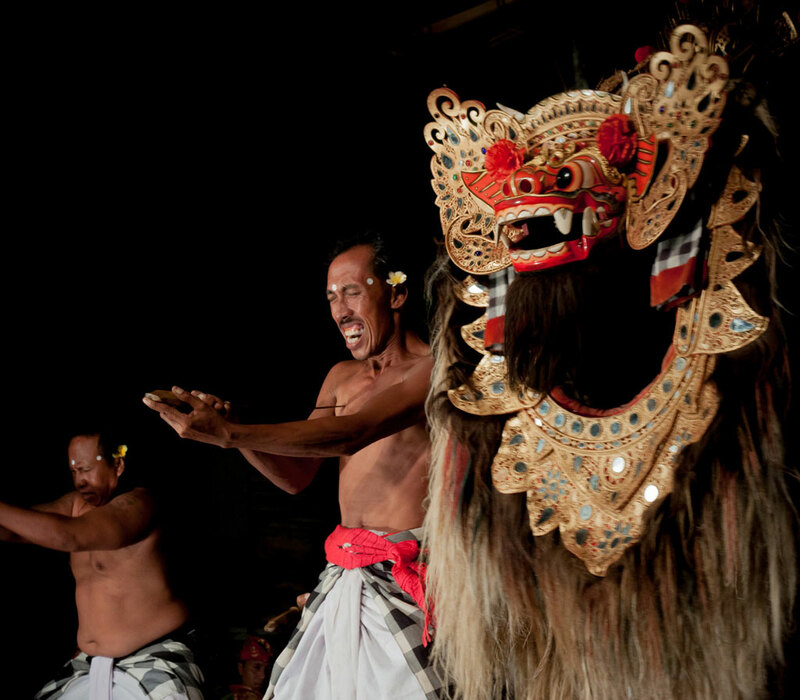 Karsian Dance was performed by Seka Gong Gita Bandana, the ambassador of Denpasar from Banjar Titih. The inspiration behind the creation is an understanding that the word Hindu is originated from the word Sindhu, meaning water, the most important element in every God worshipping and holy ceremony conducted by the Balinese Hindu. 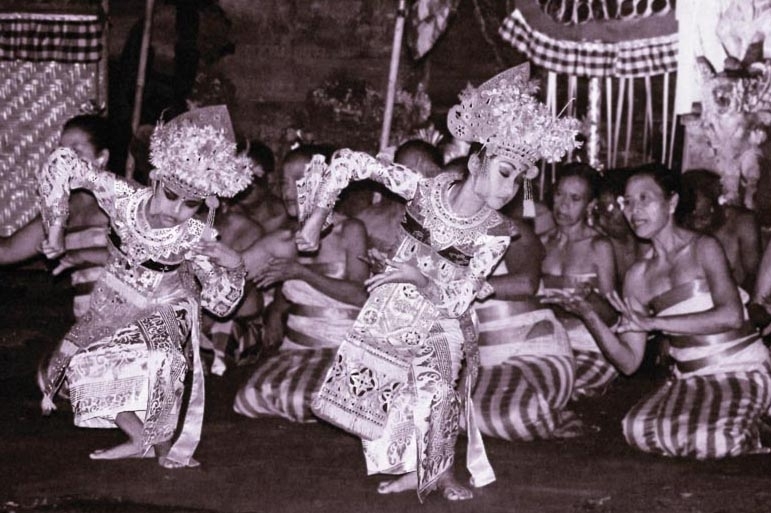 In the ancient Javanese literature, the belief of water as holy element is called Karsian. The story line was created by Guru Anom Ranuara, and transformed into dynamic and awesome flow of routines by Komang Saputra. Each move of vibrant pouring routines was boosted by an energetic arrangement of Gamelan – the Balinese traditional orchestra, played by more than a dozen young musicians. The man behind the energetic sounds was I Wayan Bagiada. The costumes are fantastically beautiful, adorned with gold on the headdress and several sparkling accessories; it was the work of Pengadean Art Production. The performance displayed hands full of details beyond the music and the dance routines. All eyes were stuck to the stage, as the dancers were sometimes making attractive formations to depict the story. And if one listened carefully, somewhere within the vibrant harmony there was soft vocals from a group of singers singing hymns, which narrate the story. 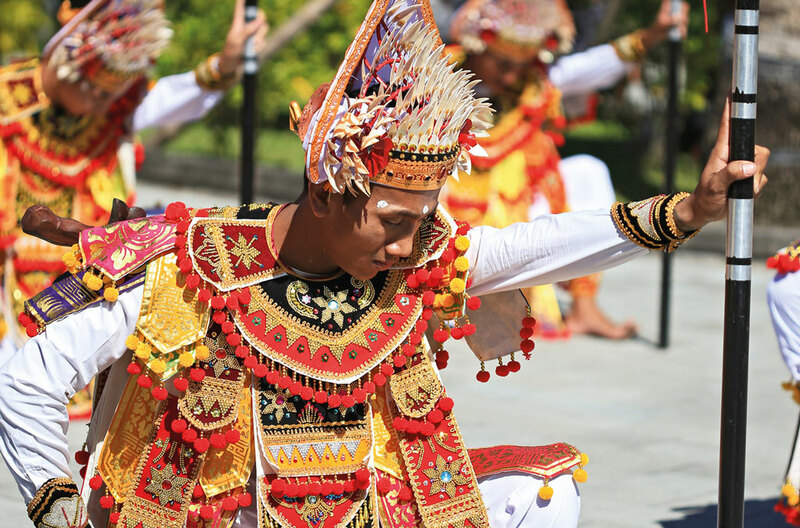 At the end of the performance, the audience couldn’t handle their excitement; a thundering applause filled the open-air theatre at Art Centre in Denpasar.